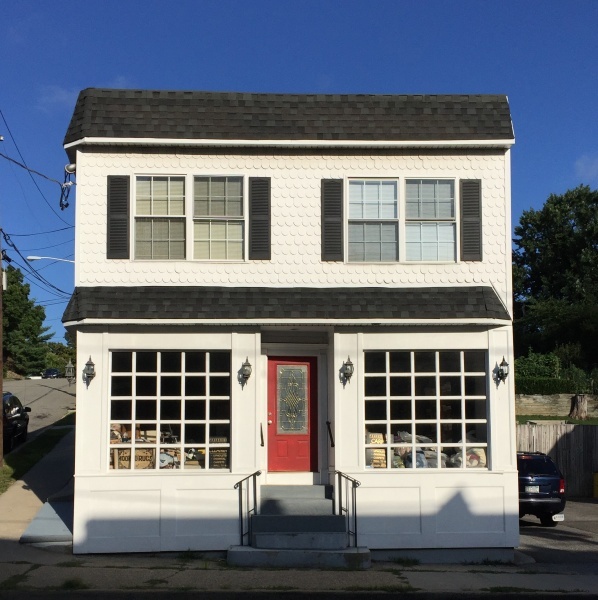 An expert in handmade hooked rugs and rug design, The Ruggery has been creating unique, American made hooked rugs on Long Island for more than 90 years. 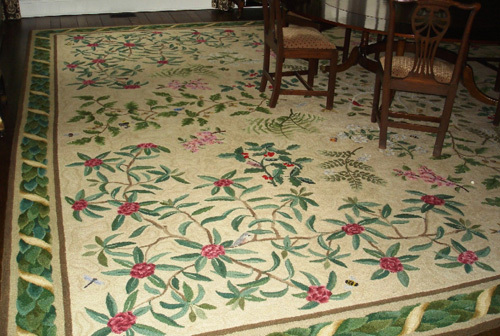 Our collection of custom rug designs spans nearly a century, with patterns ranging from the primitive to the post-modern, the classical to the arts and crafts. We recently opened our archives to retrieve several award-winning designs from the 1950s and 1960s. 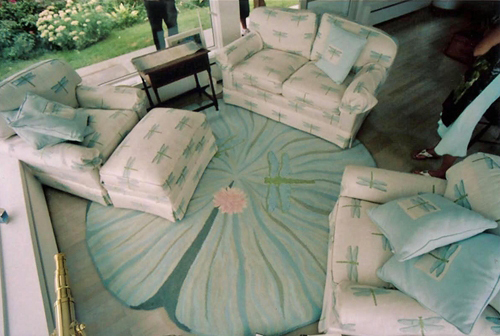 Their post-modern, arts and crafts-revival style appealed to the acclaimed interior design firm Bilhuber and Associates, which commissioned a number of custom rugs for its residential clients. 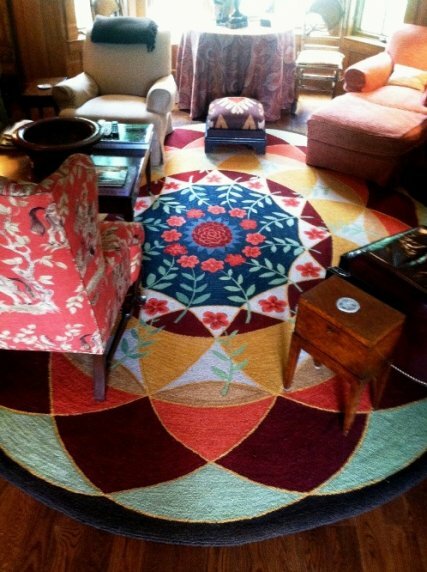 These handmade wool rugs feature multi-level abstract designs and geometric patterns that combine traditional rug hooking techniques and contemporary design. The effect is timeless. 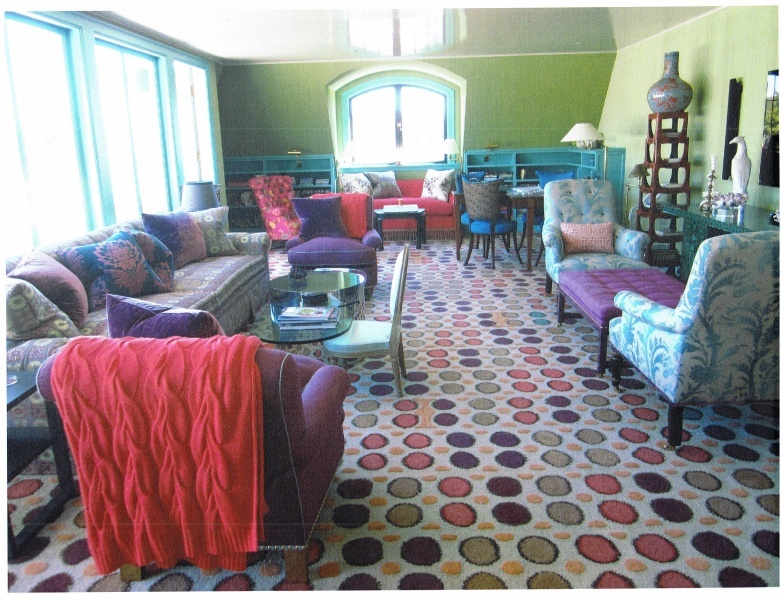 and has the most amazing archive of hooked rug designs. 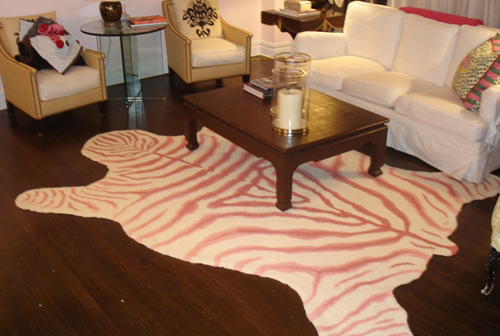 All of our hand-punched rugs are crafted of 100% New Zealand wool and handmade here in the United States. Our expert rug designers sketch the pattern, dye the wool and hand hook each rug at our New York location. Our clients include prominent designers, celebrities and homeowners who expect the highest levels of quality and customer service. 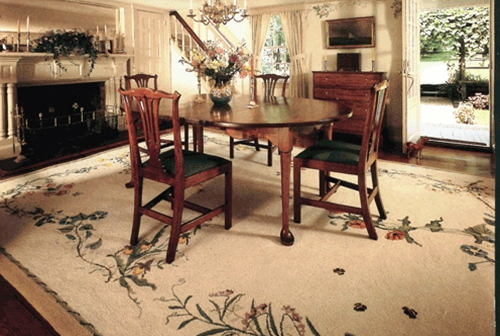 At The Ruggery, we pride ourselves on creating rugs of quality, style and distinction, rugs that give personal pleasure to both the client and the artist. 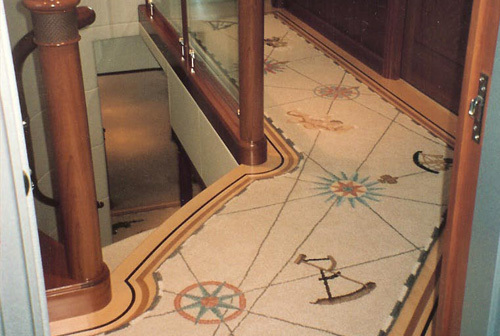 The Ruggery also offers a wide range of rug hooking supplies and hook rug kits for crafters and do-it yourselfers. 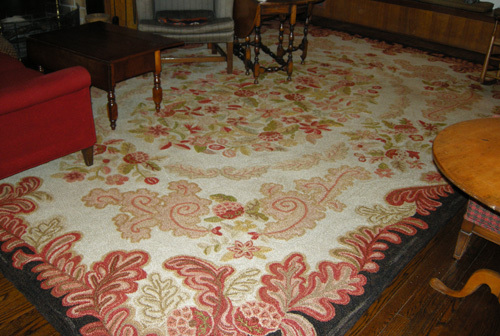 Beautiful and useful, hand made hooked rugs are a perfect blend of form and function. 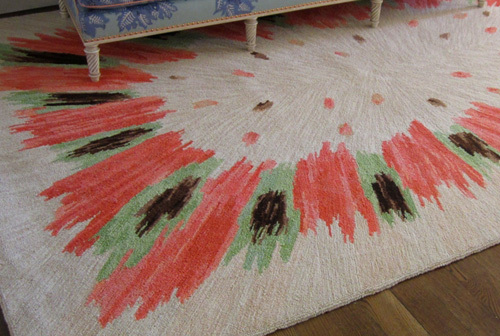 Expertly crafted, our hooked rugs are an authentic form of American arts and craft.